Known throughout the world, yet still capable of guarding its secrets, this area of Médoc is home to the most prestigious crus. Although it may all appear to be cut from the same cloth, it has a diversity of expression which makes it an enduring source of passion for lovers of brilliant, harmonious wines. Between Saint-Seurin de Cadourne to the north and the city of Bordeaux to the south, and bounded by water to the east and west, the Haut-Médoc has traditionally been one big family. Until relatively recently (barely a century ago) some family members, such as Margaux, Saint-Estèphe, Pauillac and Saint-Julien, were not yet established as separate entities and were regarded as “parish wines” in the same way as Lamarque, Ludon or Cantenac. Its existing boundaries date from 1935: a 60 kilometre-long corridor covering 4,567 hectares, roughly one third of the distinctive tongue of land that forms the Médoc peninsula. It is home to 5 grands crus classés or “Classified First Growths”, which is as many as Saint-Estèphe can boast, and more than 80 crus bourgeois. 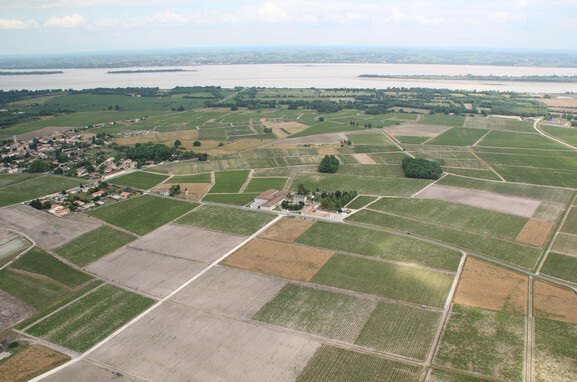 Although they all share more or less the same gravelly Médoc soils, the terroirs nevertheless display great variety, which explains why Haut-Médoc wines can differ so much in style. But they all have one thing in common – their harmonious balance.